Thank you for signing up as a host and joining the Detox Your Home movement! To help you throw a great party, we have almost everything you need at the click of a button! Download the materials below and make sure you print enough copies for your guests when necessary. Then, take a look at the Host Party Guide to make sure you have all the other materials you need to host your party. You can also create a party package for your guests filled with healthy snack items and maybe a green product such as laundry detergent or all-purpose cleaner. Make sure to check the rating for your party favors on CancerSchmancer.org/check. We're gonna have a great time! Get more host information when you follow Cancer Schmancer on Facebook or Twitter. 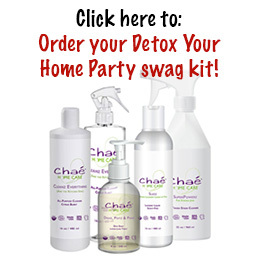 This guide will take you and your guests through your Detox Your Home party step-by-step. Make sure to review this before your party to familiarize yourself with the party agenda. Fran has sprinkled some nice tips and recipes in here, too! As guests arrive for your party, have them complete these "I Detox My Home for ____" signs telling why they want to Detox Your Home. You'll need one for each guest at your party. Make sure you take pictures and share them on our Facebook page! As part of your party, you'll be prompted to play Detox Your Home Trivia. Print these cards, cut them apart, fold them in half, and give one to each guest to read aloud. Test your knowledge and learn why it's important to CHECK labels! When it's time for each of your guests to commit to change, hand them this Pocket Guide. You'll need to print enough for each guest at your party, and they can complete and sign the Commitment Card in the bottom right corner. 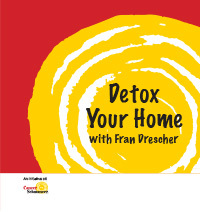 Fran wants to welcome your guests to your Detox Your Home party! Queue up this video and let Fran do the rest! "The women in my family"
"To save the lives of my kids!... and kids everywhere"